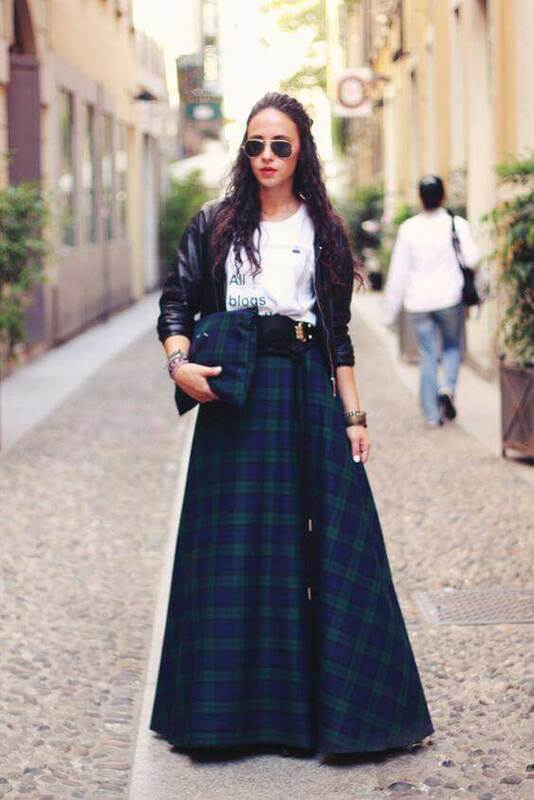 How to Wear a Maxi Skirt Fashionably? Maxi skirt outfits have been parading around since years and they are still going strong. Maxi skirts are the embodiment of femininity, style and glamour. 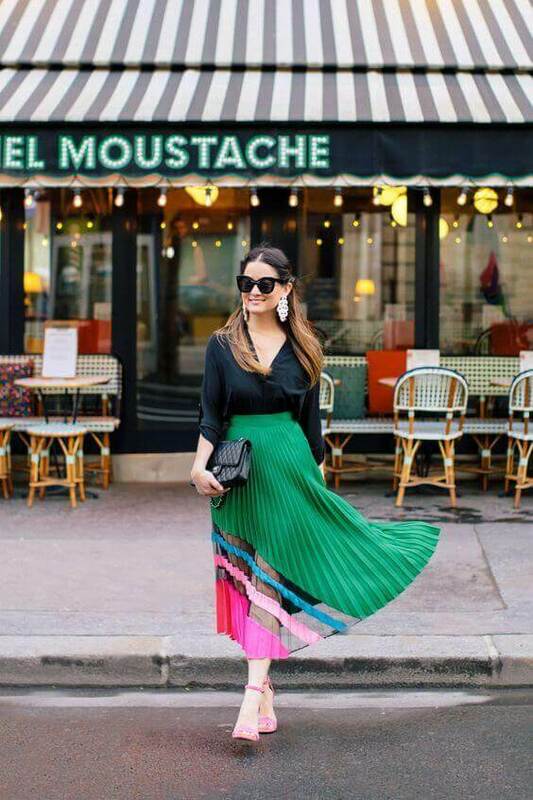 Women of all ages and sizes can pull off a maxi skirt fashionably. Be it a vintage-inspired white maxi skirt, one in print or a solid long skirt, these feminine pieces with longer hemlines are timelessly classic and versatile. There are numerous ways to incorporate long maxi skirts in your everyday look, just keep scrolling to know the trendiest ways of all. Nothing could be classier than a white maxi skirt. A flowy and flouncy white maxi skirt looks good with printed and colorful tops. 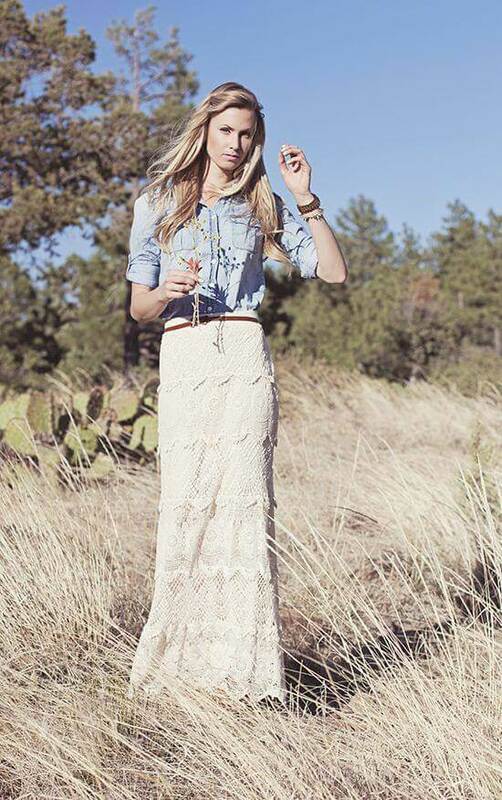 If it is a lace skirt (with bohemian vibes), simply slay with a denim or chambray top. Summer is the time to go for something sheer and see through. Show off your beautifully shaped legs in a sheer maxi skirt. Prints and solid colors—both ensure flawless fit and stand out style. 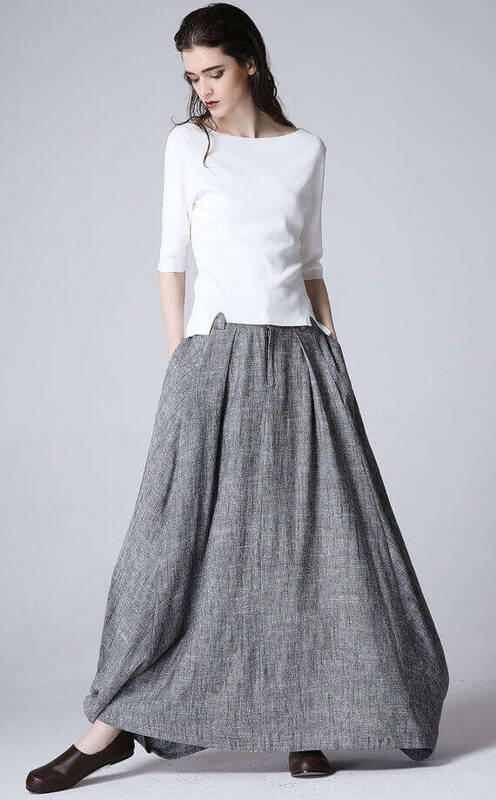 Grey seems a bit boring but believe me, a grey maxi skirt can give a flattering look. For day time, we recommend a plain grey maxi skirt; and for evening parties, give your grey a silver touch by adding some adorable sequin detailing—do not forget to add some chic fashion accessories (ring, neckpiece and bracelets). Just like in the images below. Wanna try something fashionably advanced? Pleated skirts can give you an all-new and different look. Prefer fresh colors for a bolder style. 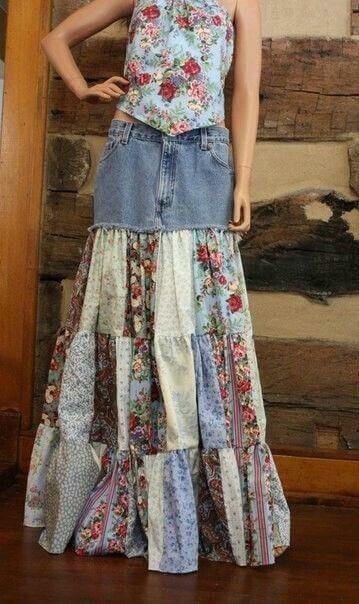 Pairing your maxi skirt with a denim jacket is yet another chic outfit idea. This one is highly recommended for getting an urban street style. This idea can be tried with both, a floral maxi dress or with a plain skirt in romantic and soft color. 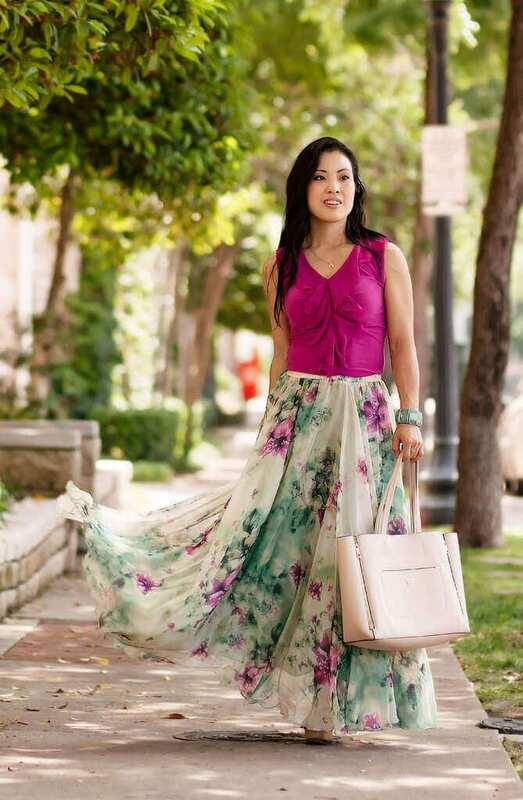 Both comfy and fashionable, a chiffon maxi skirt is a must-have in summer. For an added flavor of style, try one with a front or side slit. It also makes it easy for you to walk freely. Give your plain skirt a sassy twist by adding some adorable tiers in it. 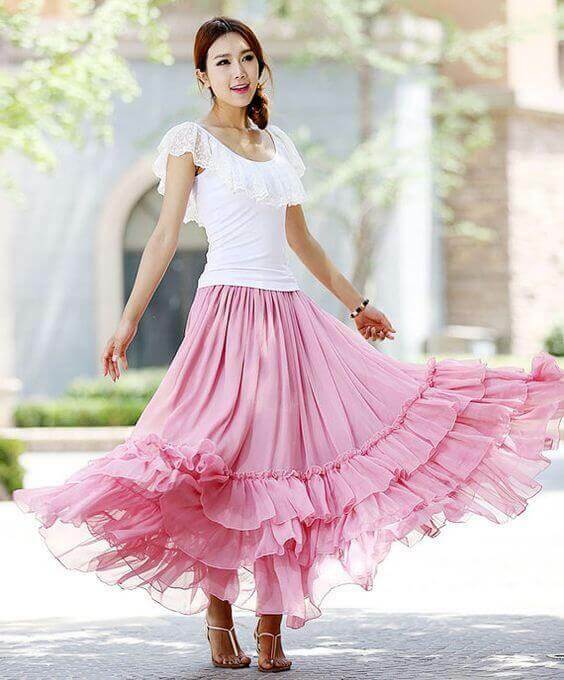 Take a look at this pink maxi skirt. Simply adding a few tiers have transformed the look completely. Refreshing seasons like spring and summer are all about pastel shades and floral patterns. 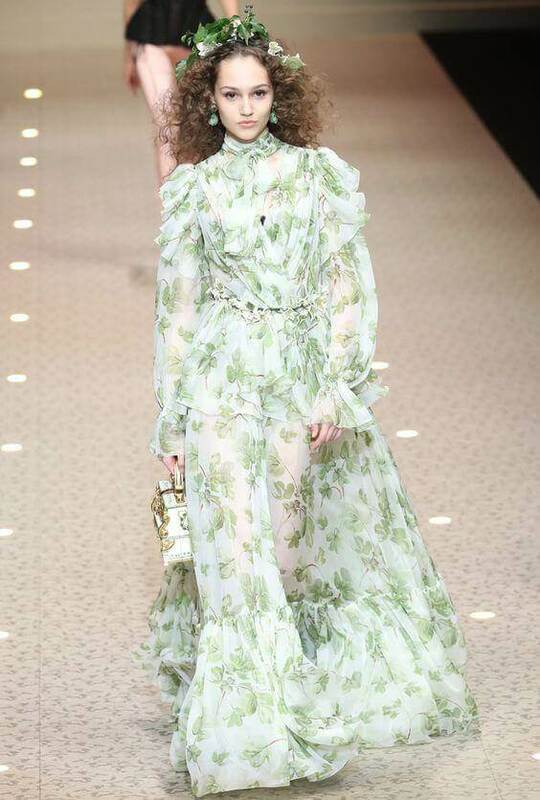 So, look for floral prints or embroidered flowers to go with the flow of the season. Wearing a skirt on the thinnest area of the waist or right under the breast area, is a great technique to hide a round tummy—without any compromise on style. It also gives the illusion of elongated legs. So, it is an all-good option for petite girls. But that does not make it suitable for short girls only; this is a style that is applicable for all body types. For colder days, you must give a try to jersey maxi skirt. Its body hugging style offers a comfortable fit without compromising on the style. For inspiration, take a look at this flawlessly stitched navy maxi skirt with side slits. For days when it is not too hot, trying a satin skirt is highly recommended. If it is a printed piece then pair it up with a plain top, and if it is plain then a printed top looks good. 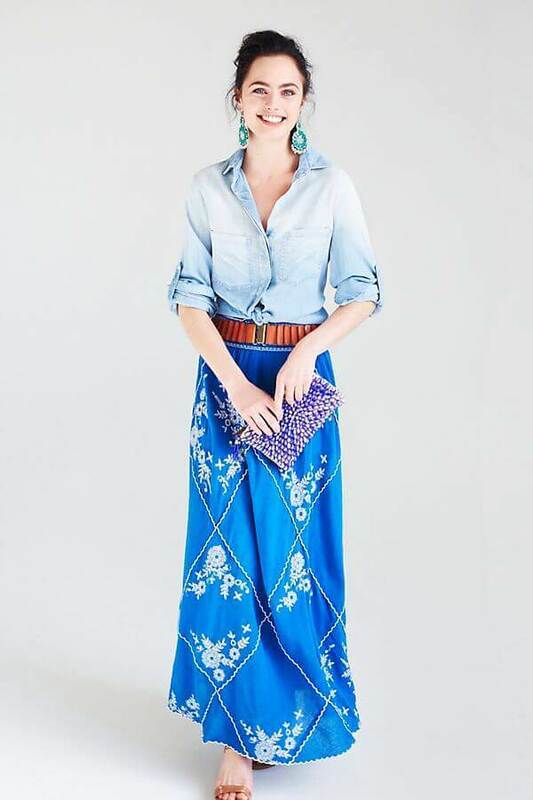 Check this one out, blue printed floral maxi skirt looks adorable with a white button-down blouse. If you are Ok with pulling off a more revealing look, just opt for a maxi dress with side slit. Take a look at the image below to get some visual advice. Thirty plus ladies who want to get a spruced up look in a maxi skirt but they feel a bit reserved; we have a great suggestion for them all. Team up your maxi skirt with a longer top like peplum top or tunics (do not tuck in the top). Make sure it is no longer than hipline and enjoy the flowy feel. Formal occasions demand something glamourous and sizzling. Jazz up your style with a plain chiffon maxi skirt paired up with a crop top with sequin detailing. Pick the colors according to the time (day or night) of the day. You are surely going to get noticed for your style. 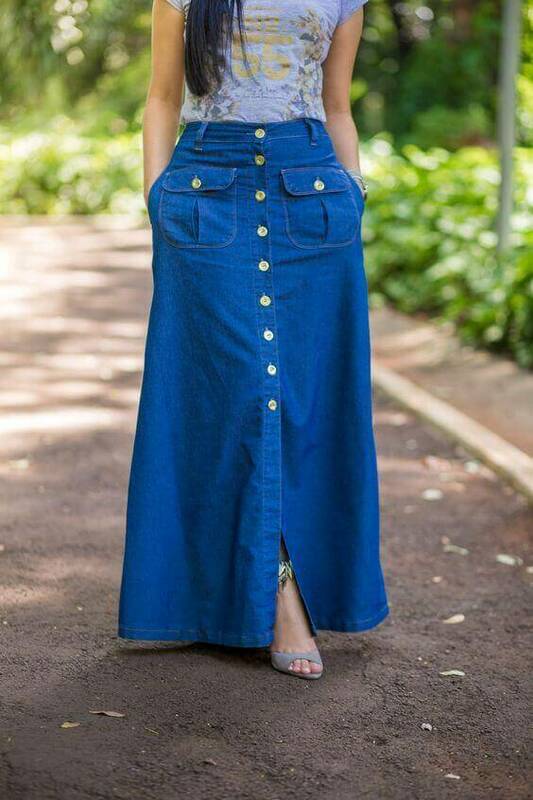 Denim has always been a fashion faithful—maxi skirts are not an exception. 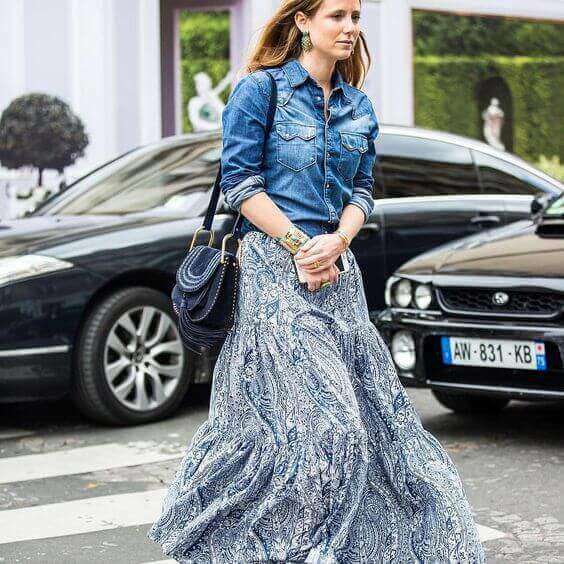 A denim maxi skirt is a versatile staple that can easily go from office to late hours. All you need is to pick the right top for it. For office, we recommend a nicely stitched collard blouse. For the days off, it can be paired with anything—a tee, a tunic top or even a sassy lace bralette. A maxi skirt is not just about spring or summer, it can be worn stylishly even in winter. Go for prints like plaids, checks or stripes for the skirt. Layer it up with winter-specific pieces like a cardigan, jacket or a scarf. For footwear, ankle boots are the best choice. Are you a free soul and want to pull off something typically boho? 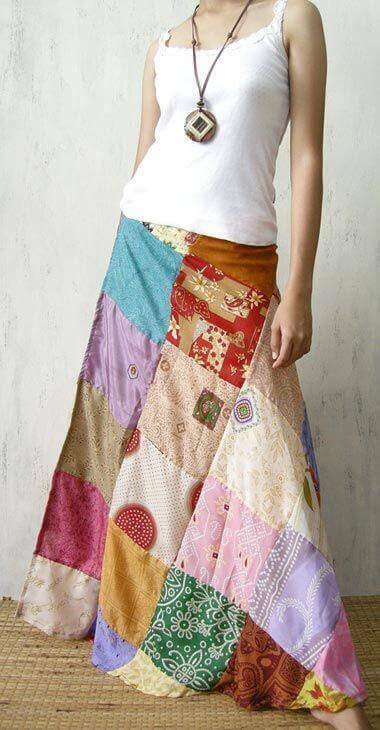 Check out these maxi skirts with colorful patchwork. To get the best look, pair them with plain top and strappy sandals. Maxi skirts with frills and layers are something suitable for fun occasions like partying with friends or even for a date. So, feel free to wear this dreamy and unique style for all such fun-filled occasions. Thus, it is proved that a maxi skirt is a femininely versatile staple that suits women of all shapes and sizes. The only point to look for is to stick with the most appropriate length. Floor length pieces are suitable for heighted girls while the petite ones should stick with ankle length skirts. So, while you shop for it, keep noticing the length. If it is too long for you, you might need some hemming before wearing it.